Founded in 1981, Tidelines creates and sells calendars that feature brilliant photographs and wavy lines, called sine waves. The sine waves display tides in easy-to-read a graphic. On the Tideline Website users can buy the Tidelines standard calendar and also create custom tide calenders by uploading their own photos, captions, and tide location. TIDELINES came to Automatic Media looking to expand their online reach. 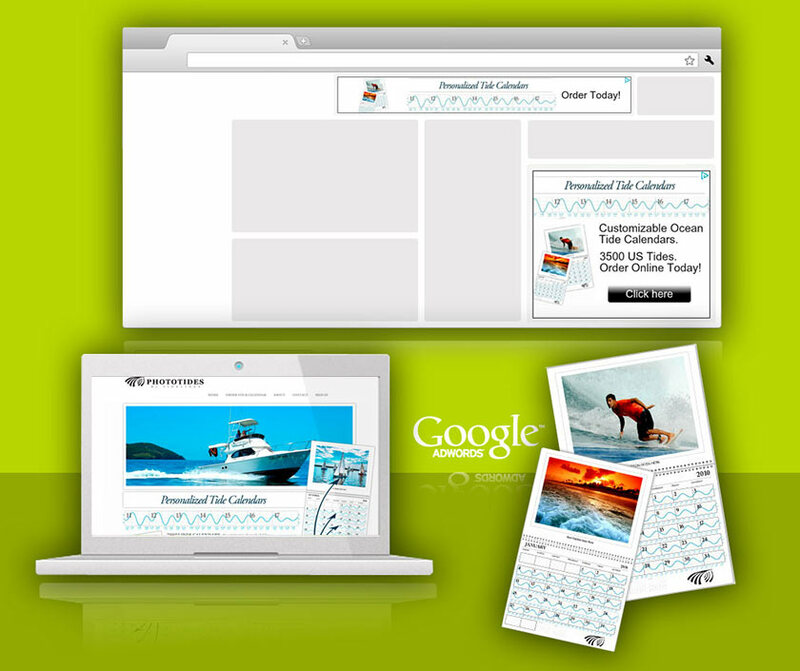 We launched and continue to manage a successful Google Ad Words and Display Network campaign for the company. Central to our approch is comprehensive keyword research and testing. For Tidelines we created ads which targeted specific groups within focused interest categories. As a result we helped Tidelines tap into micro niche groups online that they didn’t have access to before. The campaign continues to drive conversions and expand the brand’s online reach.